Design is available for short-sleeve t-shirts. Four colors are available for this shirts. 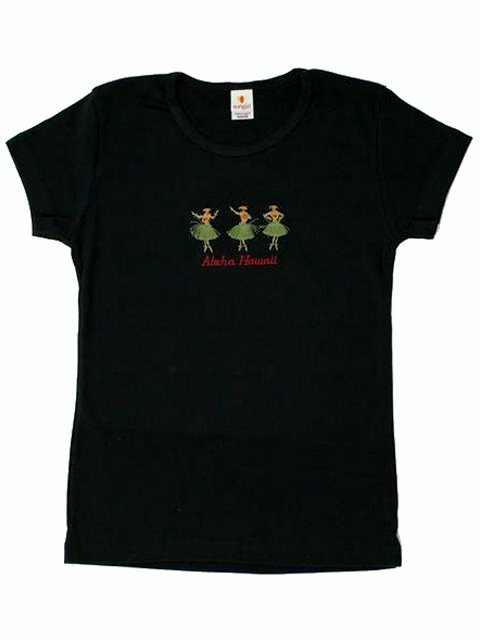 The Hula Girl is embroidered on this t-shirt. The skirt on the Hula Girl is realistic with strings. Runs small. It says for women but more for teens. Had to order another one in large. Right size look great with the skirt.